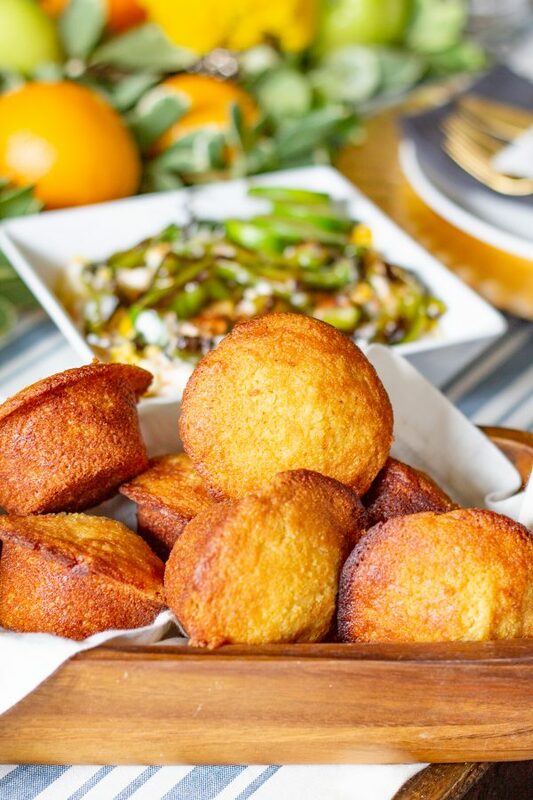 This recipe for the best Corn Bread Muffins makes for a great Thanksgiving side dish or a delicious breakfast. 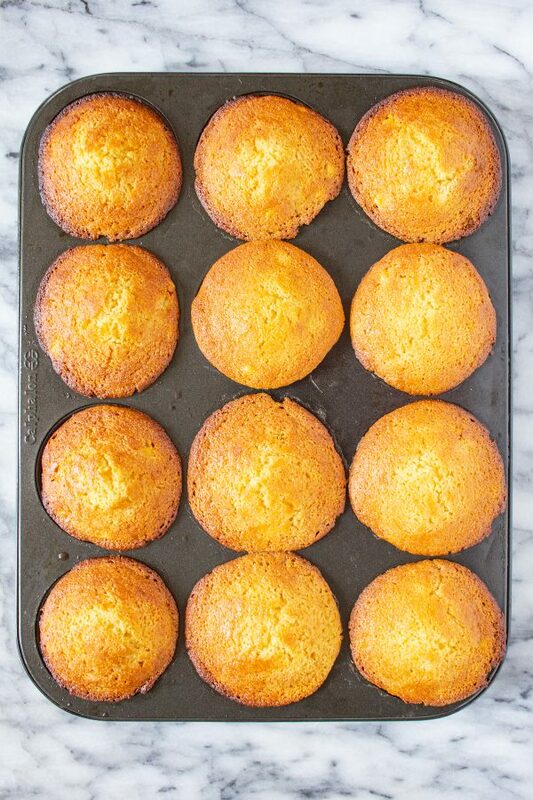 I love this recipe for Corn Bread Muffins because it has whole kernels of corn. 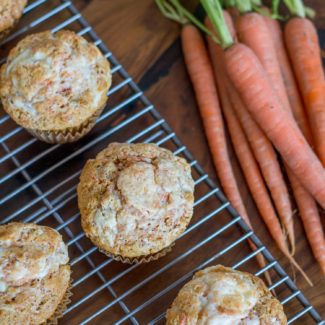 It adds a fresh taste and a great texture to the muffins. 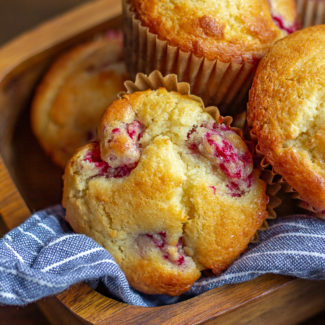 The corn kernels also prevent the muffins from being too dense. Last year I spent a week perfecting my muffin recipe. I was determined to make the perfect muffins: muffins that rise into domed muffin tops and have a slight crunch to the outside while being light and soft on the inside. I learned that the ratio of baking soda and baking powder and well as that baking temperature are of key importance. 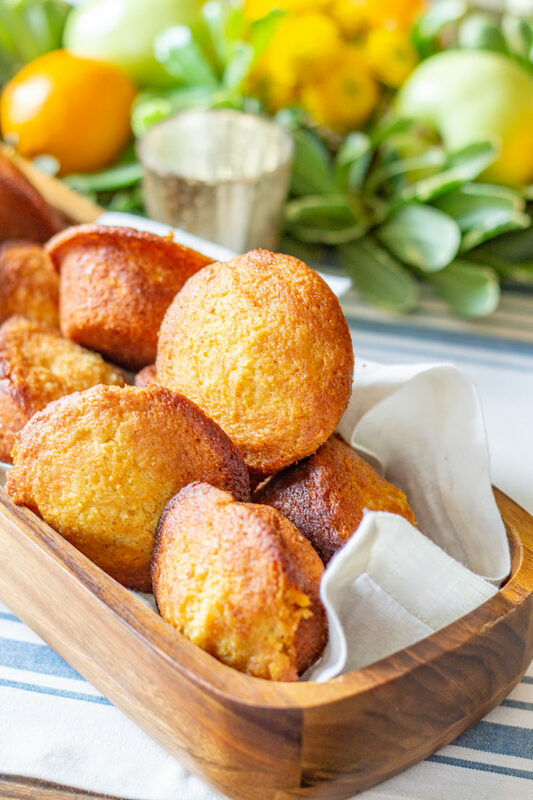 Corn bread muffins are a bit different than your typical muffins since they are made with a mixture of corn meal and flour. 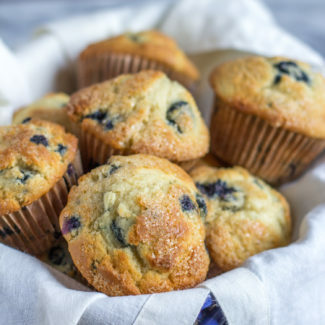 These muffins don’t rise quite as much as blueberry muffins, but they achieve a nice crispness on the outside and softness on the inside. 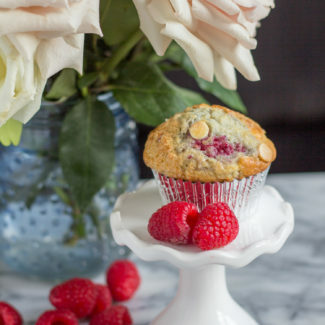 I especially like this recipe because the muffins are not too dense. 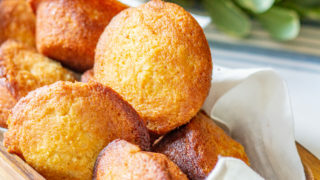 The active preparation time for this corn bread muffin recipe is just 10 minutes. You just need to mix everything together! You definitely want to let the batter sit for 15 minutes before you bake the muffins. This gives the baking soda and baking powder time to activate and it helps the muffins to rise. I chose to make corn bread muffins for this years Thanksgiving menu because they are so easy to serve, and they are a fun alternative to a traditional dinner roll. 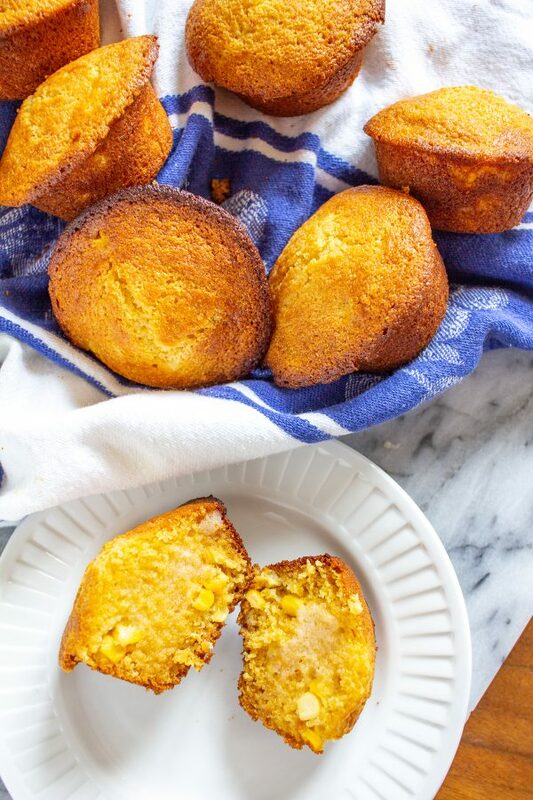 You could opt to use this recipe to make cornbread instead of corn bread muffins. I just think serving muffins is easier. 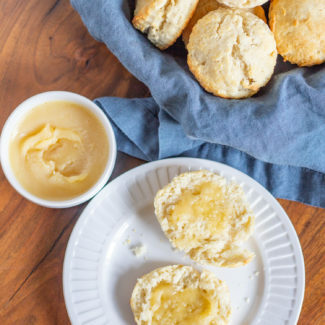 I recommend serving the corn bread muffins with a side of honey butter. 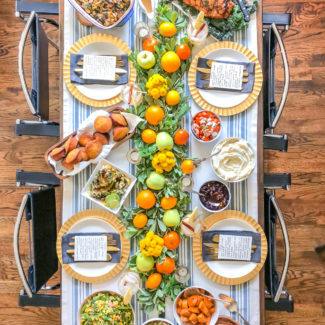 You can learn how to make that here. 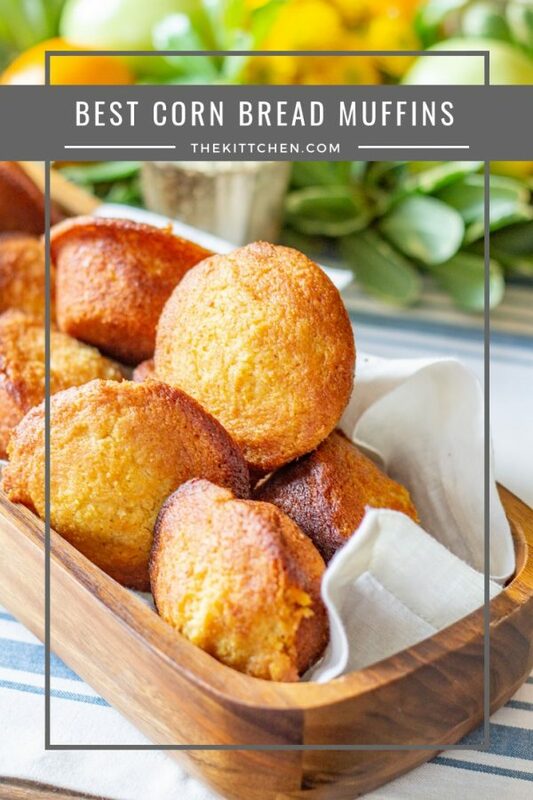 Best Cornbread Muffin Recipe | This recipe for the best Corn Bread Muffins makes for a great Thanksgiving side dish or a delicious breakfast. Combine the sour cream, milk, 4 tablespoons butter, eggs, and honey in a bowl. In a separate bowl mix the flour, corn meal, salt, baking soda, baking powder, and sugar. Fold the dry ingredients into the wet ingredients. Then gently stir in the corn kernels. Let the batter sit for 15 minutes, use this time to heat your oven to 425 degrees. 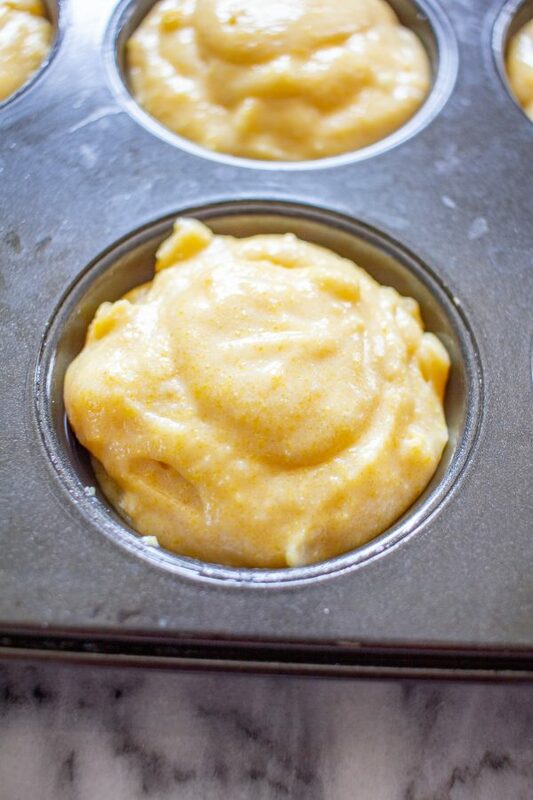 Pour the batter into a muffin tin, filling each up almost all the way. Then brush the remaining tablespoon of butter on top each muffin. Bake the muffins at 425 degrees for 9-11 minutes, until the muffins rise and have domed tops. Then reduce the temperature to 350. Continue baking for another 5-7 minutes, until a toothpick inserted into the center of the muffins comes out clean. Let cook for 2 minutes before placing the muffins sideways on a towel to continue chilling. This prevents them from flattening as they cool.